262 pages | 28 B/W Illus. Humanities for the Environment presents the work of researchers, drawn from the global HfE Observatories network, challenging the parameters of research in the traditional humanities with a view to developing more engaged, more effectively communicative modes of scholarship in response to the overwhelming environmental tumult and tragedies of our time. These are thinkers – some Indigenous, many involved in Indigenous collaborations - working at the limits of imagination and passion in an effort to bring modern civilization back from its blind brink to some semblance of ecological maturity, morality and sanity. 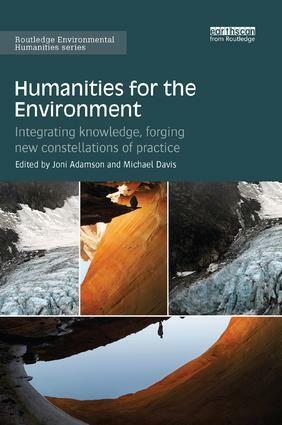 Humanities for the Environment (HfE): Integrating Knowledge, Forging New Constellations of Practice is a vital, necessary, project-building collection enacting the transdisciplinary relevance of the humanities to environmental knowledge and ecological crisis. It is humanist in the deepest planetary and historicist ways, burrowing into multi-sited tactics, indigenous resources, worlding literatures, and networked practices that command imagination and solicit action under the horizon of the Anthropocene as a time when ‘science’ as such needs to come to terms with dangers, risks, hopes, and damages of being human. Drawing upon indigenous cosmologies, environmental pedagogy and grassroots activism, Humanities for the Environment, admirably decolonizes the fraught term, Anthropocene, and compassionately advocates with engaging and critical yet deeply felt narratives for ‘new constellations’, or gatherings of lifeways, practices, and disciplines. The aim is to put 'this world back together' for all living beings. We would do well to heed this clarion chorus.